Just out now in Cell is a wonderful article on the full sequence of mitochondria DNA from the Neanderthal. The paper is already receiving much interest in the media, and Nature has a news story somewhat misleadingly entitled “First complete Neanderthal genome sequenced“. A complete mitochondrial (mt) genome sequence was reconstructed from a 38,000 year-old Neandertal individual with 8341 mtDNA sequences identified among 4.8 Gb of DNA generated from ∼0.3 g of bone. Analysis of the assembled sequence unequivocally establishes that the Neandertal mtDNA falls outside the variation of extant human mtDNAs, and allows an estimate of the divergence date between the two mtDNA lineages of 660,000 ± 140,000 years. Of the 13 proteins encoded in the mtDNA, subunit 2 of cytochrome c oxidase of the mitochondrial electron transport chain has experienced the largest number of amino acid substitutions in human ancestors since the separation from Neandertals. There is evidence that purifying selection in the Neandertal mtDNA was reduced compared with other primate lineages, suggesting that the effective population size of Neandertals was small. The somewhat simplistic grand purpose of the Neanderthal project is to figure out what makes us human – presumably our unique brain function. By comparing the Neanderthal sequence with Chimpanzee and Human we can ideally pin point areas on the genome that has undergone rapid evolution the last 660K years (the new split time determined in the paper). It is generally accepted that something dramatic happened within the last 100K years or so which eventually let to the exodus from Africa and population of the rest of the world along with the extinction of other hominoids. So with the Neanderthal genome we’re on the safe side but a lot closer than our divergence from Chimpanzee (est. at 6M years). Obviously, we will be blind in areas of the Neanderthal genome that have undergone evolution since the split from modern humans. The mitochondrial genome is an obvious first milestone in the project because of its overrepresentation and because it does not undergo recombination the analysis is a lot simpler with respect to split time etc. Anyways, there is one big surprise and/or coincidence in the 13 proteins that are coded for by the mtDNA in that we find one gene with 4 ns changes – this is exactly what we had hoped for and while highly statistically significant within the context of the 13 proteins of the mtDNA it is not within the context of 20K+ genes. Who said evolution could not happen fast? Has it not been one of the main criticisms from evolution-critics that we cannot observe evolution taking place today? Well, here is just one recent example of evolution over a few generations only. Five adult pairs introduced in 1971. 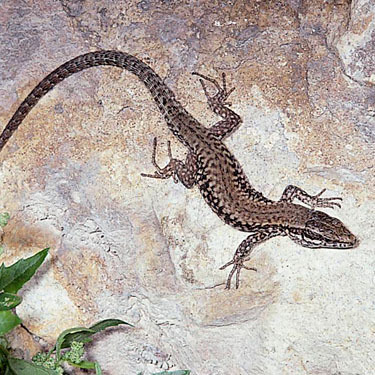 During the Croatian war of independence, the lizards were long forgotten, not studied again until decades after their release. At that time, the researchers were not even sure whether there would be any lizards left. Imagine their surprise, then, when they discovered the species now dominates the island in great numbers, well over 10.000! Pod Mrcaru, for example, had an abundance of plants for the primarily insect-eating lizards to munch on. Physically, however, the lizards were not built to digest a vegetarian diet. Researchers found that the lizards developed cecal valves—muscles between the large and small intestine—that slowed down food digestion in fermenting chambers, which allowed their bodies to process the vegetation’s cellulose into volatile fatty acids. Can anything be more “wow” than this? So not only did the study demonstrate the ability of only a few number of lizards to survive and thrive in a relatively new habitat. The study also demonstrates just how fast evolutionary preassures can lead to adaptions in a much faster time than what we normally think of. This, of course, is supportive evidence for the thought about fast evolutionary changes even in humans, as we have previously blogged about (see here, here, here, here and here). It was twenty years ago today. Sgt. Pepper taught the band to play. Actually, last year it was 30 years ago that Nicholas Humphrey published his seminal paper “The social function of intellect” (pdf). Many people see this paper as the impetus to later work on the social brain hypothesis (pdf) and Theory of Mind. 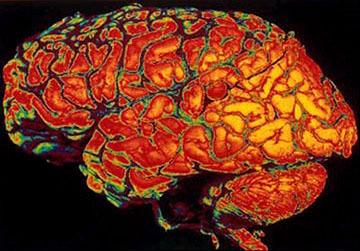 Humphrey suggested that, rather than the need for technology, it was in fact the need for advanced cognitive mechanisms for keeping track of conspecifics and interacting with other members of their social group that drove the expansion of brain and intelligence in hominids. This idea has provoked research into the role of cooperation and collaboration as well as deception and competition in primate social behaviour. It has prompted research into the importance of conspecifics being able to attend to a shared mental content. (Shared attention appears crucial to the transfer of knowledge in a social group, and is therefore probably a prerequisite for the establishment of cultural traditions.) Finally, it has been instrumental in getting neuroscientists interested in the neurobiological underpinnings of social cognition, including research into Theory of Mind and mirror neurons. To commemorate Humphrey’s paper and track the above-mentioned ensuing research, the Royal Society of London staged a Dicussion Meeting last year. The papers presented at that meeting have now been published in the latest issue of the Philosophical Transactions of the Royal Society B. It is a veritable smorgardsbord of big names: There’s papers on social intelligence in birds, hyenas, dolphins and apes by, inter alia, Nathan Emery, Nicola Clayton, Kay Holekamp, and Richard Connor. Richard Byrne and Andrew Whiten discuss the animal cultures hypothesis. There’s papers by Michael Tomasello and Daniel Povinelli on ToM in primates. Vittorio Gallese explains the importance of mirror neurons, Chris Frith reviews what we know about the social brain, and Steven Mithen speculates that farming may have arisen from a misapplication of social intelligence. Naturally, Humphrey is also given the opportunity to revisit his 1976 paper. If you are at all interested in the question of what makes some species social beings you will want to check out this issue. This week’s Nature features a nice battle between creationists and evolutionists in the correspondence section. Dawkins gets the Colbert treatment!